The project explores how family enterprises can best strengthen their international network, enabling the usage of their unique strengths. The project explores the best modes of international operation in various circumstances. Family enterprises are human, long-enduring and responsible enterprises with a personal touch and, hence, desired partners all around the world. Tanja Leppäaho is the manager of five-year (2017-2022) research project on international family enterprises. She’s welcoming family enterprises to join the project. Research on the Internationalization of Family Enterprises – Toward the Holy Grail? According to top professors “There is nothing more practical than a good theory”. The aim of this research project is to be both practically and theoretically relevant in the area of internationalization of family enterprises. We have good chances for that: Pukall and Calabro (2014) have noted that Tanja Leppäaho is currently the scholar with largest number of publications on the internationalisation of family enterprises and she has a great research team around her. 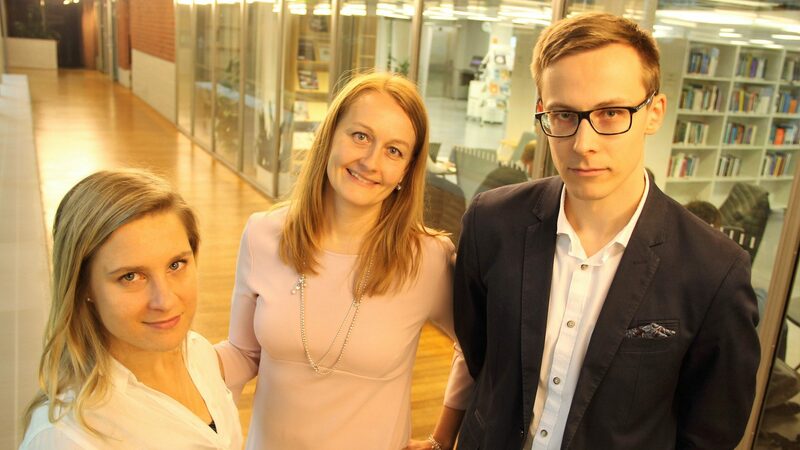 Practically, we aim to provide family enterprises, which make more than 80% of the Finnish firm population and are the focus of current Strategic Development Programme of the Finnish Government, with managerial recommendations and understanding of their strengths and weaknesses for internationalization. Theoretically, we build a strong theory on the internationalization process over time and publish high-quality research by strong theorizing from the empirical findings. In addition to internationalization pathways over time, we concentrate especially on network ties within the internationalization of family enterprises. The project will be implemented by collecting three longitudinal, empirical databases. Work Package 1 is an archival study and will take a historical approach on the internationalization of long-enduring family enterprises via archives. Work Package 2 is based on a longitudinal multiple case study approach and well-being measurements of family managers in about 20 Finnish family enterprises. In Work package 3 we will collect and analyze longitudinal survey and panel data on Finnish export SMEs. Tanja is the manager of the research project running in between 1.9.2017 and 31.8.2022. The project is hosted by Lappeenranta University of Technology and funded by the Academy of Finland. Tanja’s previous employment was Professor of Entrepreneurship and International Business (tenure track) at Jyväskylä University School of Business and Economics. Tanja’s areas of interest are international entrepreneurship, networking, process, family entrepreneurship, and qualitative methodology. According to Pukall and Calabro (2014), Tanja is currently is the leading expert of the area on a global scale. Tanja entered academia in 2008 and graduated as PhD (economics) from the University of Jyväskylä in 2011. On completing her PhD she was recruited as an Senior Lecturer at the University of Edinburgh Business School, where she gained important experience and extensive research networks within the UK. 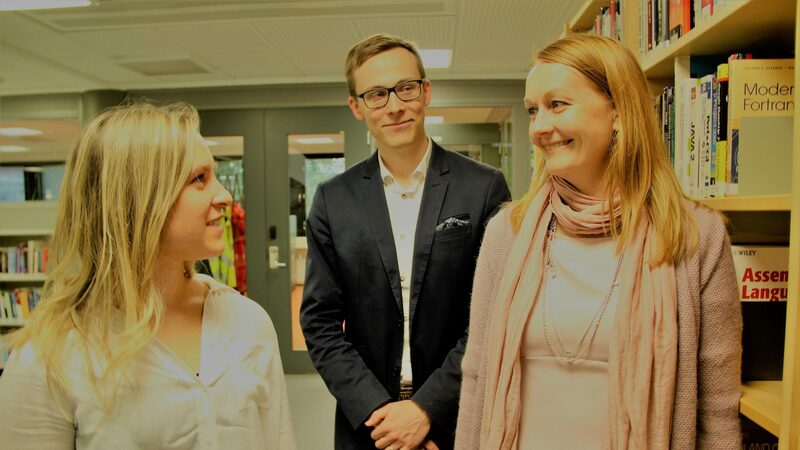 Tanja’s current endeavour is to make internationalization of family enterprises an even stronger area for specialization and a centre of excellence in Finland and Lappeenranta. Tanja has published in various journals including Entrepreneurship Theory and Practice, Family Business Review, Journal of Small Business Management, International Marketing Review, and International Business Review. She has received several awards. Babson College Entrepreneurship Research Conference (BCERC) awarded Tanja and her coauthor Professor Sarah Jack from University of Lancaster School of Management the Bertarelli Family Best Paper Award for their 2016 joint study on international networking among family enterprises. Tanja’s article on qualitative case studies in Family Business Review was the most cited article in 2016. Tanja very much likes teaching and company collaboration. Example of the student-company collaboration she has facilitated can be found via link below. Her CV can be found via the second link below. Tanja’s newest publication related to institutional distance and international networking can be found here. Jaakko is working as a Research Associate in the project. He is involved in carrying out the longitudinal multiple-case study (work package 2) and survey (work package 3) parts of the project in particular. He is the person contacting the case firms, running and analyzing the interviews, and organizing networking events around the project. Jaakko holds Master’s Degree in International Business and Entrepreneurship from the University of Jyväskylä and Bachelor’s Degree in International Business from the Lappeenranta University of Technology (LUT). 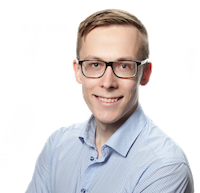 Jaakko works as a Junior Researcher at LUT and alongside the project works on his own dissertation about the internationalization processes of small and medium-sized family enterprises (family SMEs). Before this occupation he worked in sales and customer management roles at two rapidly internationalizing startup and growth companies, Dream Broker Oy and Vainu.io Software Oy. During the Master’s studies, when Jaakko worked as research assistant for the leader of this project Tanja Leppäaho, he got excited with the research on family business internationalization, did the best family business Master’s thesis in Finland awarded by the Finnish Family Business Association, and participated in writing a scientific article on the process nature of the research on family business internationalization. Jaakko’s areas of interest are growth and internationalization in family and other SMEs, entrepreneurship education, and case study research. Jaakko aims to become an expert in the fields of international business and entrepreneurship with not only contributing in academia but also disseminate expertise to student and company levels. Work experience in private sector helps reflecting research outcomes to more practical level and building networks. Satu is working as a Research Associate in the project. She is involved in the archival study (work package 1) of the project in particular, finding out about the internationalization of Ahlström, Serlachius, Scauman, and Vaisala, focusing on the narrative nature of the data and analysis. 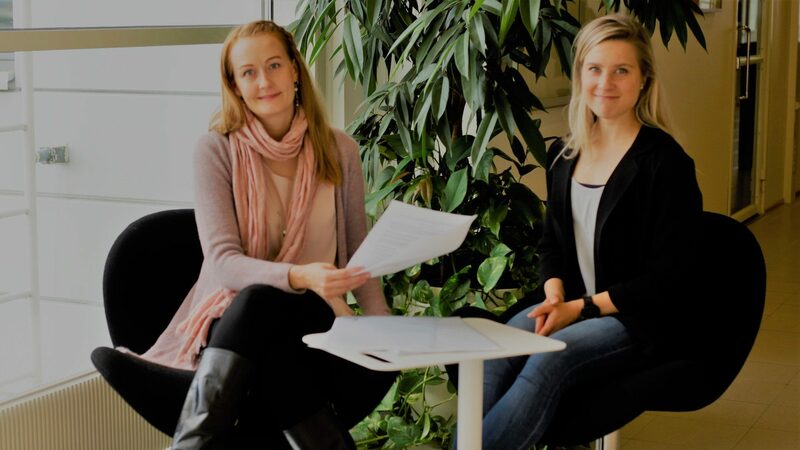 Satu holds a Master’s Degree in International Business and Entrepreneurship from University of Jyväskylä and since May 2016, Satu has been working on her PhD research in the Faculty of Strategy and Entrepreneurship. Satu’s dissertation “Constructing an international entrepreneurship identity through narratives” studies the emergence and evolvement of the international entrepreneurship process from the individual, behavioral and career perspective. Satu’s research efforts hold the promise of producing new theoretical and practical insight on how the complex and contextual international entrepreneurship process unfolds in reality and as a career path. The current project is a fluent continuum to Satu’s past and current interests. Since 2012, Satu has gained experience with a first-row-seat in different kinds of projects aiming to develop and enhance entrepreneurship and internationalization of SMEs both through employment and through “pro bono” advisory roles. 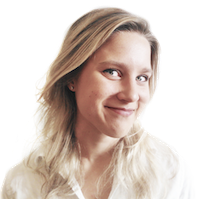 Prior to her Master’s degree, Satu worked in customer relationship management and member communications for the American Chamber of Commerce in Helsinki, aiding Finnish start-ups to grow their networks beyond national borders. 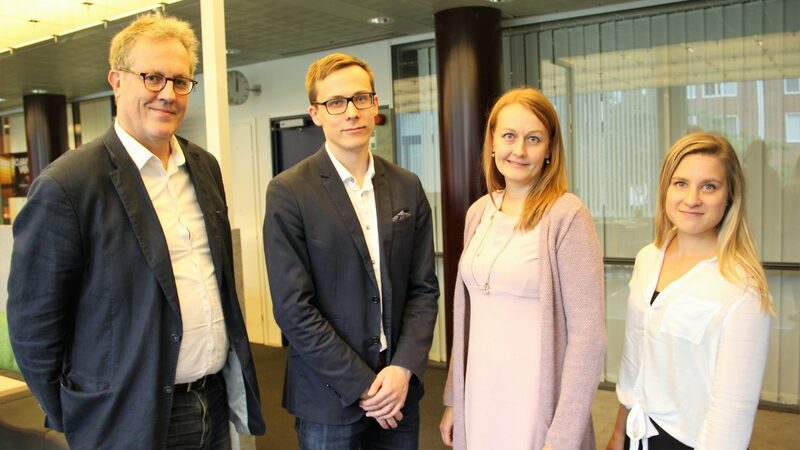 Currently, in addition to her full-time doctoral research project, Satu is serving as a board member of a small internationally oriented family firm called Serdeco Oy and supervising for Master’s thesis projects on the internationalization of SMEs at the University of Jyväskylä. Satu’s overall aspirations are to intensify the voices of the practitioners, harness the advantages of the narrative approach in international entrepreneurship research, and enable further and sound theorizing of internationalization. 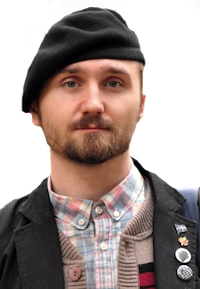 Oleksiy Kovalenko (MSc. in Psychology, in Spring 2018 also Master in Economics) is responsible for the visual looks and contents of the project. All relationships are first and foremost social. Almost everywhere else the role of social interaction is significantly bigger than in Finland. Learn the language and culture of the target country. When your partner recognizes the effort you put into this, he or she becomes more committed and willing partner. Hire local employees. Nothing replaces local business knowledge and networks. Choose a foreign partner, whose values suit for the values of the family firm. Unless you are familiar with the foreign market and its practices or you have plenty of resources, it is recommended to start with export as an entry mode, so that the market knowledge and network relationships evolve. Create networks actively and creatively for internationalization. Suitable network relationships can be found through partners, subcontractors, trade fairs or competitors. Agility is a strength in family firms. Utilize that also in internationalization. With the help of fast and flexible decision-making you are one step ahead of the more bureaucratic competitors. Create network relationships also with the ones outside the primary relationship. They enable agile actions when facing changes or pursuing growth. During succession you should pay attention to the distribution of ownership. According to research findings, too fragmented portfolio-based ownership structure, in which some of the siblings don’t want to risk the resources of the firm not even little, might result in the overturn of the internationalization endeavors of the leading family member. An optimal partner for a family firm has existing channels and networks in the foreign market, is trustworthy, experienced and knowledgeable, and similar in terms of size, product portfolio and identity. The list of managerial recommendations will be updated on a monthly basis via our blog and Facebook account. Stay tuned!